We treasure our ancestor’s written letters, diaries or journals kept over the decades but think of what they may have written those with so many years ago. 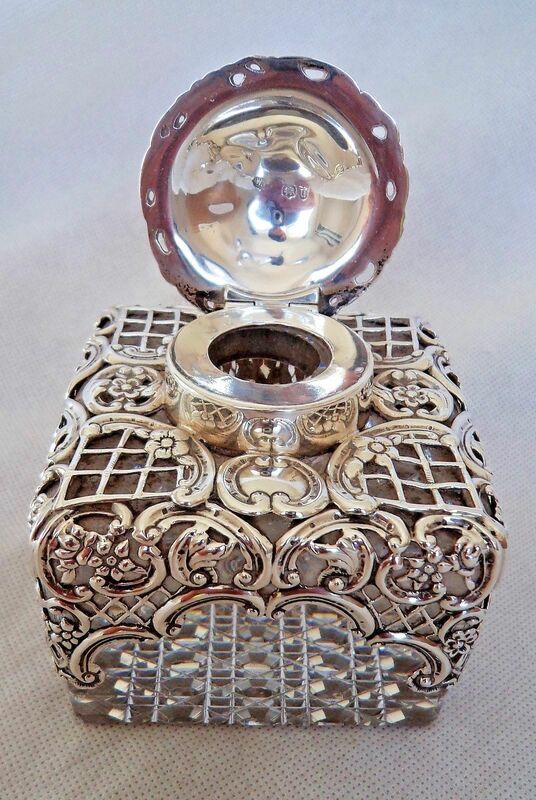 Inkwells were a very common household item until the early 20th century when the fountain pen became popular. The shape, sizes and what they were made of varied over the years. 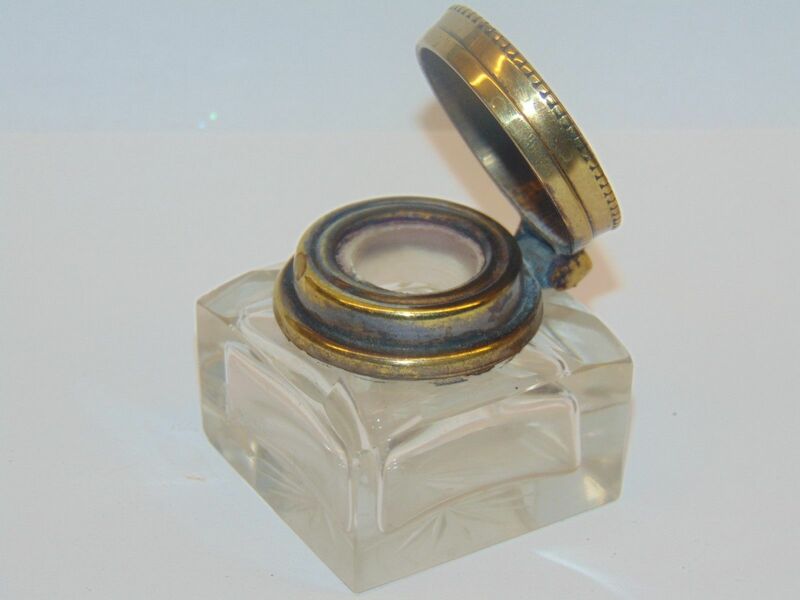 This small jar for holding ink could be made from pewter, silver, porcelain, glass or brass. The writer then used a brush, a quill or dip pen placing the tip of the writing instrument into the inkwell as a source of the ink. You dipped the steel tipped dip pen or quill into to the inkwell to get a bit of ink, then you could write a few lines before dipping again. 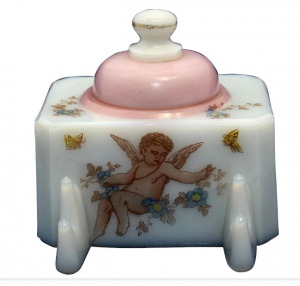 Most inkwells had a lid in case of spillage and stop any evaporation. If one traveled, they did take they own traveling inkwell and quill, usually an inkwell with a screw lid so there would be no leakage. So school children had the old school desks of our ancestors which had round holes for their inkwell. The inkwells used in one’s home tended to be very decorative for the wealthy to sit on the desk, but they could be also the cheaper version of a simple square glass with a lid. 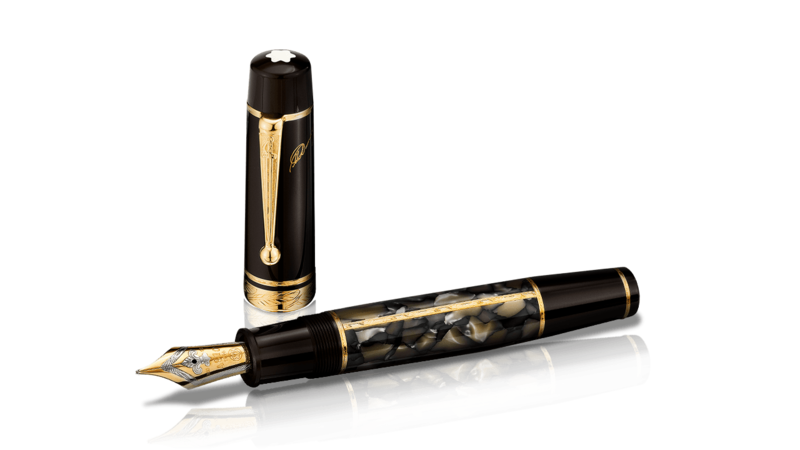 The invention of the fountain pen with a nip tip to write and its own reserve of ink that was refilled as needed came slowly during the first half of the 1800s. A very workable and mass-production fountain pen came in the 1880s with Waterman pen and Wirt pens. Big changes came in the mid-20th century with the popular use of ball-point pens. 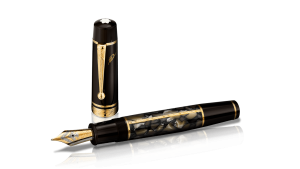 No refilling by dipping the pen or use of a fountain pen instead it held a small ink supply within the pen. Sales skyrocketed after World War II (1946). The new roller ball pens even became popular with the US Postal Service in the 1950s who did away with all inkwells and fountain pens using solely ball-point pens. Check with family members, see if any family inkwells or the pens (including the fountain pens) were kept over the years. Review vintage photos, see if an ancestor is writing or signing anything and look closer at the writing instrument. A true family treasure of a useful and important family heirloom is great to locate. 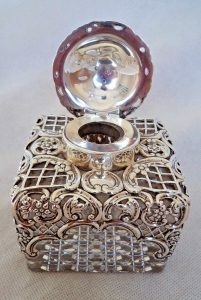 Photos: 1895 sterling silver inkwell; 1900 simple square glass inkwell; 1880s milk glass inkwell with a holder for pens; dip pen and fountain pen.